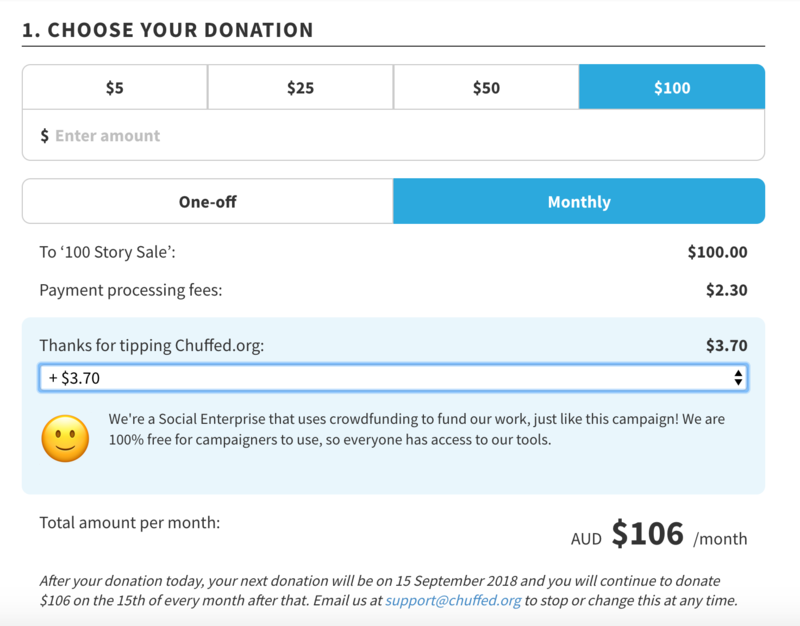 This month, we're launching Regular Giving on Chuffed.org. It's been one of the most requested features we've ever had, so we're incredibly excited to be making it available for all our campaigners. For all our campaigners, they can just login in, edit their campaign and go to the Customize section of the editor. Down the bottom, you'll see this toggle. Just switch it on to activate Regular Giving. Currently, Regular Giving is connected to our debit/credit card system, so if you haven't set up a Stripe.com account, you'll be prompted to do so. Don't worry, this takes less than 5 minutes. If they choose the "Monthly" option, they'll get a clear explanation of exactly how the charging will work so there are no surprises. They'll make a donation straight away, and then another one on the 15th of every month, starting from the following month. That means if they donate on the 10th August, their next donation will be on the 15th September, then on the 15th October and so on. You won't need to do anything. On the 15th of the following month, the donor's card will be charged, and you'll receive your funds. Note that your campaign does not need to be "live" or in "Infinity Mode" for this to happen. Each new monthly donation will be treated like a new donation to your campaign: your total will increment, and your supporters tab will be updated. This will continue until the donor asks us to switch off the Regular Monthly donation. 1. Does my campaign need to be live for the regular donation to process? No. Regular Giving will process even if your campaign is completed. For example, let's say someone decides to donate $15/month to your campaign on the 20th August. On that day, you'll get a $15 donation to your campaign. Then, let's say, your campaign ends on the 30th August. Although no new donors will be able to donate after the 30th August, you'll still continue to get your Regular Giving donations. So on 15th September, you'll get another $15 donation to your campaign and so on. 2. What happens if someone's card expires or if someone doesn't have enough money in their bank account for the Regular Giving donation? We attempt to charge Regular Giving donations on the 15th of every month. If the card charge attempt fails for whatever reason, we'll attempt to charge it up to 3 additional times in the week following the 15th. Obviously if one of these attempts succeeds, we'll stop any further attempts. After these 3 additional attempts, if we are unable to charge the card, we will notify you and stop charging the card. We will also notify the donor and they can update their card details with us. 3. How to donors cancel or amend their regular donation? 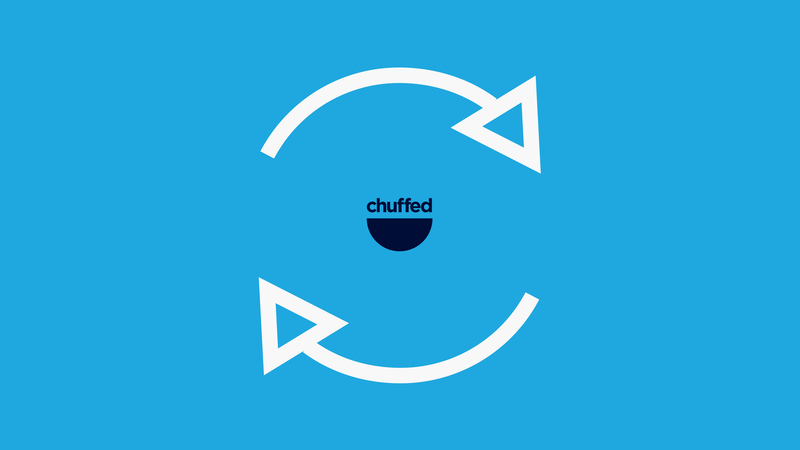 Donors can contact Chuffed.org Support at [email protected] to amend their Regular Giving donation at any time.